The definition of an antique in the UK is any item that is 100 years old or more (in other countries this definition can be different and elsewhere items are often described as antique when they are only 50 years old or more). But whatever the correct definition we all understand that antiques are old, and this very fact means that they can be very delicate items. Conversely they can also be very solid, well-built items of a much higher quality than similar items produced in more recent times. Depending on their age, rarity, provenance and condition they can be very valuable items so if you are planning to store them away in a self storage unit then you will want to be sure of preserving their condition and hence value. People often inherit antiques and many are passed down through generations but we don’t always want to have they in our homes – either because we simply don’t have the space, or because they do not fit with the style of more modern homes. Nevertheless we do want to keep them and preserve their value. Always use acid-free tissue paper when wrapping delicate items to prevent chemicals in the wrapping materials from damaging the items due to prolonged contact. Use a protective outer layer such as thick cloth, bubble wrap or cardboard to protect from bumps and knocks. Clean all items before storing but ensure no cleaning product residue remains. Every item should then be covered to keep out the dust particles that will settle over time. Preserve leather with a suitable leather protector that will keep moisture out. Treat wooden items with a suitable wood conditioner that will protect against moisture. Dismantle heavy items, wherever possible, to prevent undue stress on the joints and legs then wrap and store each part separately. Very fragile items such as glass and china should be well wrapped and then stored in a rigid container for added protection. Rugs and other fabric items should be protected with layers of acid-free tissue paper and cotton dust sheets. Avoid folding them but if they cannot be laid flat then roll them. Unglazed paintings should be covered with layers of acid-free tissue paper then protected with cardboard or foam padding for very valuable items. Glazed paintings should have the glass covered with strips of masking tape (to protect the painting underneath from damage should the glass break) then wrapped in bubble wrap and cardboard. 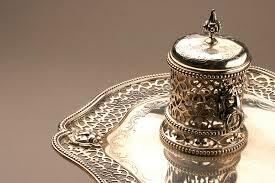 Antique silver will always be prone to tarnishing but this is not permanent damage and the items can easily be polished back to their former glory once removed from storage. But the amount of tarnishing can be reduced by minimising contact with air so wrap each silver item individually and tightly in cotton cloth followed by a non-absorbent outer layer such as bubble wrap. Because the moisture in the air can cause damage to all types of materials, particularly wood, fabric, metal and leather, minimising the amount of moisture in the air will preserve your antiques in good condition for longer. If you are not storing in a climate controlled facility then consider investing in a dehumidifier for additional protection of your precious items. 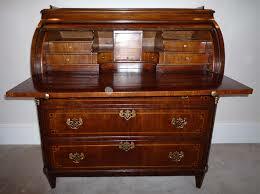 It is interesting to learn a little bit about long term storage options for storing antique items. Finding the right storage unit is really important to have to protect them. This article has some really great ideas.